While industrial controls become more and more complex and important, the interface modules are utilized as the improved solution to replace traditional single wiring usage. 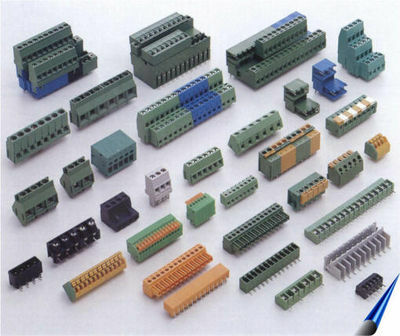 The diverse interface units are taken to convert signal between flat ribbon cable connector with screw type terminal, D-Sub miniature connector with screw type terminal, and the relay with screw type terminal. By applying wire technology and compact design, the interface units provide advantages on integration , space saving, flexibility, and costing efficiency. The interface modules, which are widely adapted, are considered the simple, convenient, economic and tech-oriented alternative for all common PLC’s. We stock a wide range of terminals.